3x Champ, 3x Champion & Champion Producer! Introduce “NS Magic Flight” to your breeding program and see the benefits of making the transition to this outstanding Champion Producing Herdsire! 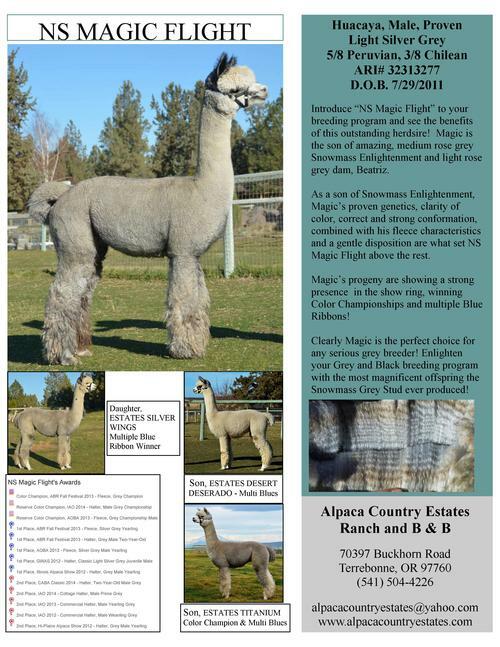 Sapphira's sire is Patagonia’s El Galan, our magnificent 4x champion and multiple blue ribbon winning herdsire out of Patagonia’s Cayo. 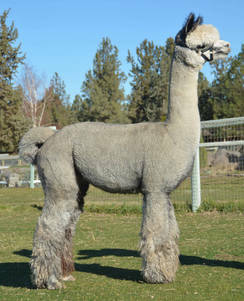 El Galan has an elegant, soft handle, buttery fleece, and is a strong-boned pure white male. 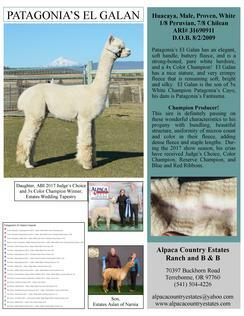 His daughter, Estates Wedding Tapestry is a 5x color champion and won the Judge's Choice award at the 2017 ABI show.